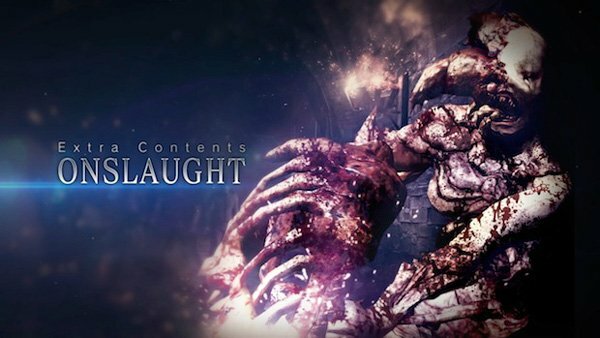 Capcom launched three new online multiplayer modes as timed exclusives for the Xbox 360 version of Resident Evil 6 yesterday; Predator, Survivors, and Onslaught. Each of the new multiplayer modes costs 320 Microsoft Points individually or there is an option to purchase the entire bundle for 720 Microsoft Points. In a series of quick fire rounds, up to six players take their turn as the fearsome Ustanak with full access to its weapons, while the others must avoid capture or worse. Human players score points for successful attacks, but lose points for being caught or taken down. The match is over once all have played as the Ustanak, with the participant with the most points crowned as the winner. This is the Resident Evil 6 take on the classic solo and team based deatchmatch mode. Like Predator, you’ll compete for the highest score, but once a player is taken out, they respawn as one of the game’s enemy characters, and must then defeat another human character in order to return to the fray as their original player character. Survivors is available for two to six players. Chaining combos is the key to success in this two player mode where each must clear waves of oncoming enemies. The twist comes when a player completes a combo chain as this will send enemies over to their opponent’s screen. Expect the balance of power to constantly shift in this intense addition to the Resident Evil 6 experience. In addition to the multiplayer DLC announcement, Capcom also confirmed that the PC version of Resident Evil 6 will launch in North America via Steam on March 22, 2013. The PC version will contain all the original content found in the original console release plus all the game’s free updates, including the No Hope difficulty mode and Ada Wong’s campaign being unlocked from the beginning.